RepairShopr is a field service management software designed for repair shop businesses. Its features include repair and ticketing system, job tracker, POS module, invoice and inventory management, marketing tools, and more. In this article, we covered user reviews and pricing. Ready to try RepairShopr? Get a free trial. Users who gave RepairShopr a positive review said that it helps them efficiently manage their field service operations — particularly citing excellent features such as asset tracking, trackable tickets, inventory management, and invoicing. They also mentioned that its third-party integration capability seamlessly connects to their accounting and online payment systems. Users who gave RepairShopr a negative review complained about its poor customer support. They also suggested further improvements in customer profiles, employee scheduling, and synchronization across devices. One user who gave RepairShopr a negative review on Capterra said that it lacks an employee scheduling feature, which would complement its time clock tool for better field service work management. He also mentioned that initial setup takes a while due to some heavy system customizations. 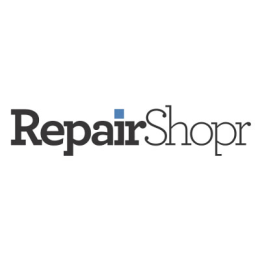 RepairShopr has four plans that cost $0 to $99.99 per month. The main differences between the plans are the number of monthly tickets/invoices, locations, and users, as well as access to premium features such as marketing automation, integrated payments, and time clock. There is also an option to add SMS credits ranging from 3 to 1,000+ per month. Interested users may contact the company to know more about the add-on features and their costs. Ready to try RepairShopr? Get a free trial. What types of businesses can benefit from RepairShopr? RepairShopr offers field service management solutions to various business types including computer and cell phone repair, IT consultancy, franchise management, plumbing service, electrical contractor, general repair, watch repair, auto repair, and more. How can RepairShopr help improve the process of setting field service job appointments? RepairShopr has a two-way Google calendar sync feature that enables both user and customer to schedule field service jobs efficiently. It also has a customer web portal where clients can check job status, see invoice history, and approve/decline estimates. Not sure if RepairShopr is the right fit for you? Read our reviews of all top field service management software or check out one of these three RepairShopr competitors. They’ve thought of many of the features missing from other systems and are responsive to community feedback, always working on more integrations and improvements. The ticketing module and recurring payment system are the top features for me. The community consistently demands many improvements, integrations, and features, and it seems RS are not able to respond to these needs as quickly as we would like sometimes. POS payment integrations and some customer facing components, like the portal, are not as streamlined or aesthetically pleasing.